The Politiko also reinstated his support for more scholarships for IP students. 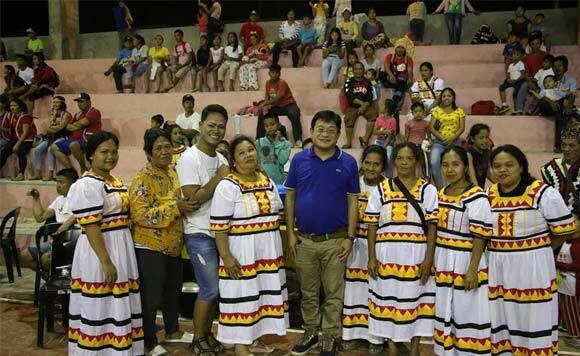 Misamis Oriental Vice Governor Joey G. Pelaez recently joined Balingasag’s Indigenous People’s Night at the Balingasag Municipal Gym, along with Mayor Marietta Roa – Abogado. The Politiko recently took part in the town’s fiesta celebrations, which aims to raise awareness on inclusivity and unity among the Balingasagnons coming from different cultural backgrounds. The Vice Governor witnessed various indigenous and local games popular in the communities of Balingasag. VG Joey also reaffirmed his support for the indigenous people’s communities during his keynote speech and said that he aims to provide enough scholarship opportunities for the IP youth. The Politiko currently has scholars enrolled in Xavier University, whom he personally supports.